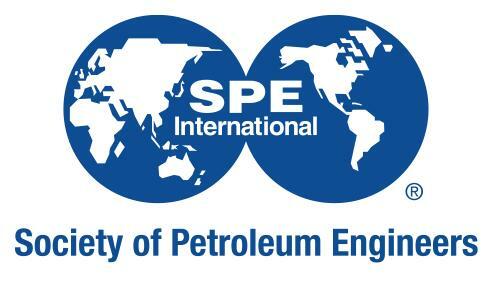 The fifth edition of the Society of Petroleum Engineers’ (SPE) North Africa Technical Conference and Exhibition, 14–16 September in Cairo, Egypt is supported by H.E. Eng. Sherif Ismail, Minister of Petroleum and Mineral Resources, Egypt. The oil and gas exploration and production conference held at Fairmont Towers, Heliopolis offers an executive plenary session, 3 panel sessions, 27 technical sessions, 3 one-day training courses, many ePoster sessions, and a robust exhibition. The Opening Ceremony welcome remarks will be made by His Excellency followed by keynote speeches by Tarek El Molla, conference chairman and CEO of Egyptian General Petroleum Corporation (EGPC); Ahmed El Banbi, programme co-chairman and professor at Cairo University; Mohamed Hashem, programme co-chairman and reservoir development manager at Dragon Oil; along with Waleed Refaay, managing director of SPE Middle East, North Africa and South Asia regions. “The conference executive plenary session will focus on the role played by Small to Medium Enterprises (SME) in times of uncertainty,” says Mohamed Hashem. “There will also be three panel sessions discussing the optimisation and rejuvenation of existing mature fields, a close look at untapped potential and new opportunities, and, ways to replicate North America’s success with unconventional resources in North Africa.” The plenary session will include government and industry insights from senior level executives such as Tarek El Molla from EGPC, Abu Bakr Ibrahim, chairman at Ganoub El-Wadi Petroleum Holding Company (Ganope), Abdul Jaleel Al Khalifa, CEO at Dragon Oil, Ali Mira, president and CEO at Sahara Oil & Gas, and Jeroen Regtien, COO at DNO ASA. “Over the years, the conference has proven to be highly successful with participation from the full range of NOCs, IOCs and service providers, providing a platform for technical knowledge exchange and creating unmatched learning and networking opportunities for all attendees,” says Ahmed El Banbi. The exhibition will showcase the latest in technologies and services available in the industry. Exhibiting companies include Borets, EGPC, Egyptian Natural Gas Holding Company (EGAS), Egypt Oil & Gas, Engineering for the Petroleum & Process Industries (Enppi),Ganope, GulfOilandGas.com, Hardbanding Solutions, Impact Fluid Solutions, MaxTube, Middle East Oil Refinery (MIDOR), Petroleum Today, Petroleum Africa, PETROJET, PetroMining, QUICK, Saknafta, Schlumberger Logelco Inc., Silverwell, TDE International Limited, Tenaris, Tiger Offshore, and Weatherford. Sponsors for this event include Baker Hughes (Gala Dinner Sponsor), Schlumberger (Delegate Bags Sponsor), Shell (Lanyards Sponsor), Weatherford (Badge Sponsor), DEA (Stationery Sponsor), Packers Plus (Conference Proceedings Sponsor), along with Borets and Silverwell (Associate Sponsors).